To those of you who do not realize it. There is media outlet known as Press TV. You should know that articles appearing in Press TV too often passed along as American press; however Press TV is an Iranian run media organization. Iran and the USA are not friends even if Obama extends a hand of friendship in the name of negotiated peace. “The priority was to look and sound like CNN and BBC,” said one former Press TV journalist. This journalist, who left shortly after Iran’s controversial 2009 elections, said editors initially sought a credible reputation for the state-funded channel, to make it a player in the increasingly crowded market of global satellite news channels. But even as the government said the channel was created to build bridges, Press TV’s bosses gave its 400 staff members another task. “Exposing the plots of propaganda networks of the enemy is among your duties,” CEO Mohammad Sarafraz told employees at the channel’s opening ceremony. It does not take much viewing time to see how that task is translated into Press TV’s broadcasts. Though the channel offers plenty of timely visuals of breaking news in the Middle East, much of its programming reflects the often aggressive, hard-line politics of the Iranian leadership. “Press TV was purely propaganda, and still is,” said Jamal Dajani, vice president for the Middle East region at Internews, an international media development organization. So why did I do a write-up on Press TV? Because I just posted a story that has all the markings of a Conspiracy Theory. I often post Conspiracy Theories because of plausible credibility presented in the theory. Well check it out! Press TV has their own Conspiracy Theory on the Sandy Hook Massacre. The title of the Press TV article pretty much sums the Iranian propaganda Conspiracy Theory: “Mossad death squads slaughtered American children at Sandy Hook”. Yup that’s right. The mouthpiece of Iran claims Israel sent Israeli Intelligence death squads to kill children as part of a plan for a Jewish New World Order. Below is the insanely ludicrous Press TV Conspiracy Theory. While liberals and some conservatives believe the time has come to ban assault weapons, the graver threat to our nation’s security has been swept under the rug. When the “long gunman” cover story falls apart, then the national press, which William Colby told us was infiltrated by agents of the CIA-“The agency owns everyone of significance in the major media”-resorts to stories of Mind Control and use of drugs. Elaborate conspiracy theories like this are not stupid, they are not insane. They are meant to deceive those that want to believe, such as muslims and anti-semites who are targeted by pro-jihad websites even if Americans do not believe them. 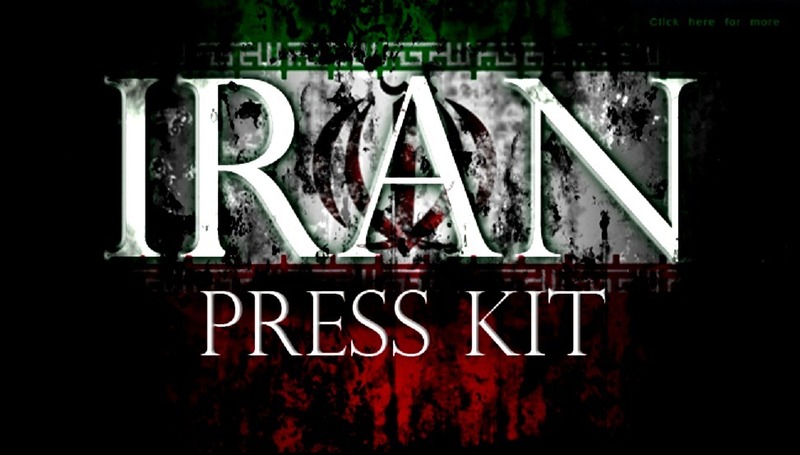 Veterans Today is an american-based front for Iran’s press TV, and their articles are mirrored on similar fronts in other nations such as globalresearch.ca in Canada and Shoah in UK and pakalert press in pakistan. Al Queda may be a front for Iran as the 9/11 hijackers were known to travel to Iran, and Iran conceived the attacks. Ansar al-Sharia which attacked Benghazi was connected to Al Qeda, and has been called a state attack by Iran. Ansar al Sharia is linked to AQAP / Yemen which is in turn is backed by Iran. Every American contributor to Press TV also contributes not only to Veterans Today (Fetzer is on the editorial board) but also to the neo-nazi Willis Carto American Free Press network, Rense and What Really Happened.Is it possible that one terrorist nation-state is responsible for the rats nest of pro-Iran pro-Palestine pro-Ron Paul neo-confederate neo-Nazi holocaust denying anti-Israel anti-Bush websites? The network is obvious, just start with everyone on Press TV and see who else carries and promotes them. There are two main Islamist movements, sunni led by the Muslim Brotherhood which supports George Soros and Barack Obama, and the shia led by Iran which attacks Obama, Saudi Arabia and the Brotherhood. Obama clearly supports and works with the Muslim Brotherhood, and pulls his punches and is strictly anti-war when it comes to Iran. Follow any anti-Israel conspiracy from somebody who is pro-Iran, pro-gaddafi or pro-Assad or anti-Saudi, neo-Nazi or neo-confederate and it probably leads to Iranian intelligence disinfo operation. Alex Jones, Ron Paul, Lew Rockwell, ex-cia Michael Scheurer, Judge Andrew Napolitano, pretty much the entire anti-war right is pro-Iran, while most of the anti-war left is either pro-MBrotherhood or pro-Iran too. The entire anti-bush movement is a front for Islamists. I did not know that about the anti-war. This anti-war right will lead to their destruction if Sharia Law is allowed in the USA based solely on religious freedom. There is a harmony of Liberty that must be practiced: Religious Freedom, Free Speech and Free Press. Islam fails on all accounts even though Muslim apologists will use those rights to justify their religion and hate-preaching.